The apartment was perfect all modern clean, everything you would want in a holiday place. Ten apartament znajduje się w centrum Estepony, tuż przy deptaku, bez ruchu przed drzwiami. Basen na dachu. W TYM SAMOCHODU. Well appointed apartment that is Dutch owned. Built a few years ago, the block is showing some signs of age but is spacious, well designed and in the very best spot adjacent to the lovely old town and right on the beach. The owner is very easy to deal with and having the car in the deal is a real plus. Everything was as described and I am very happy to recommend this apartment. One small note of caution is that given it's proximity to the beach, the cafes set up quite early and it can be a little noisy. But..if you want this great position it is a very small matter and the evenings were all very peaceful. We stayed in this apartment with our 2 year old and it was simply perfect. 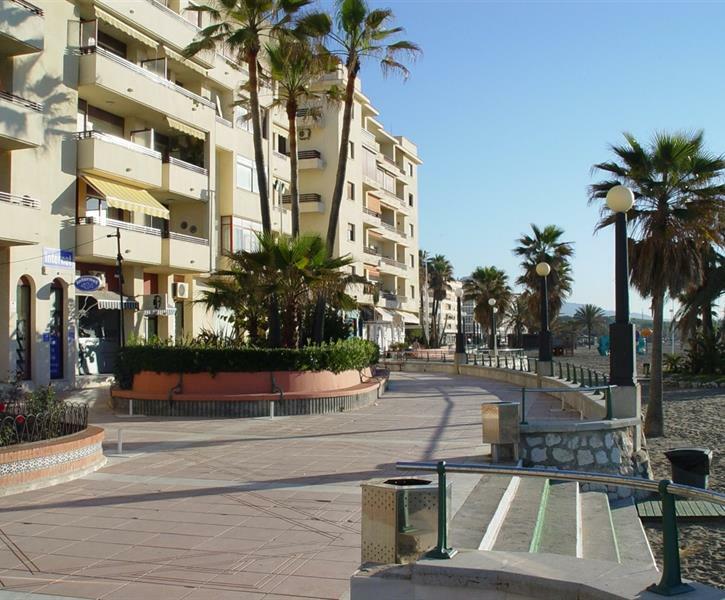 Everything you need is catered for and the location is superb; two blocks from the Old Town (many shops, supermarkets and restaurants) and a nice clean sandy beach on your doorstep. The (pedestrian) promenade passes the apartment so there is always something 'happening', but it never gets noisy, crowded or loud. Seen many (many!!) 'urbanizaciones' on our way to Estepona, and these apartments may come cheaper than this one, but note that you'll be in the middle of nowhere and have to cater for everything yourself (cup of coffee, breakfast at a nice restaurant, tapas, meals etc). This is far better! Perfekt, lägenhetens läge, dess utrustning och närheten till allt vi behövde.